We are a global community committed to know, express, and embody the One Presence. 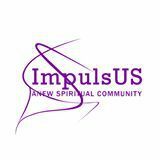 ImpulsUS is a Scottsdale AZ practicing spiritual community with a global ripple. giving practices. We foster legacy as a natural overflow of The Divine Impulse. Our goal is to create a beloved community and this will require a qualitative change in our souls as well as quantitative change in our lives. ~ Martin Luther King, Jr.